You may never have heard of Xiaomi, but give it a year or so and I’m sure you will. Often called “the Apple of China,” this company has seen a meteoric rise all the way to number 4 in the charts for global handset shipments since the company was founded in 2010 (in context, that’s the year Apple released the iPhone 4) by becoming known for their ability to create flagship quality handsets for a fraction of the price bring charged by the competition. Up until recently, Xiaomi products weren’t sold outside of China (hence why you may not have heard of them!) 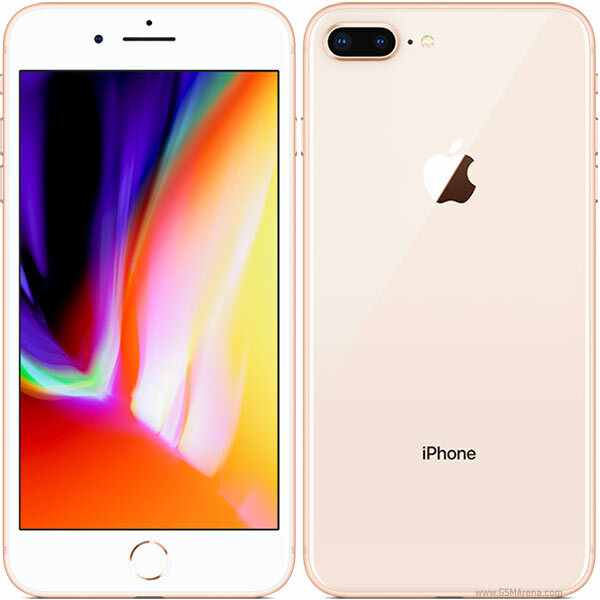 however the company has recently announced some inroads into the UK, selling phones on contract for the first time directly through Three UK and sim free through other retailers such as Argos and John Lewis. Xiaomi splits their phone range into a few different models. The Mi models are their bread and butter, nothing particularly fancy or experimental, just good spec handsets in a form factor that appeals to the masses (think of the Mi lineup as the “Galaxy S” line is to Samsung). Then there’s the Redmi range: this is Xiaomi’s budget phone range, swapping out the high specs and beautiful design of the Mi range for lower range processors and replacing glass and metal designs for more plastic and polycarbonate, all in an effort to keep the price down. Mi Mix 2 (left) beside the Galaxy S9 (right). This is where things start to get a bit complicated. 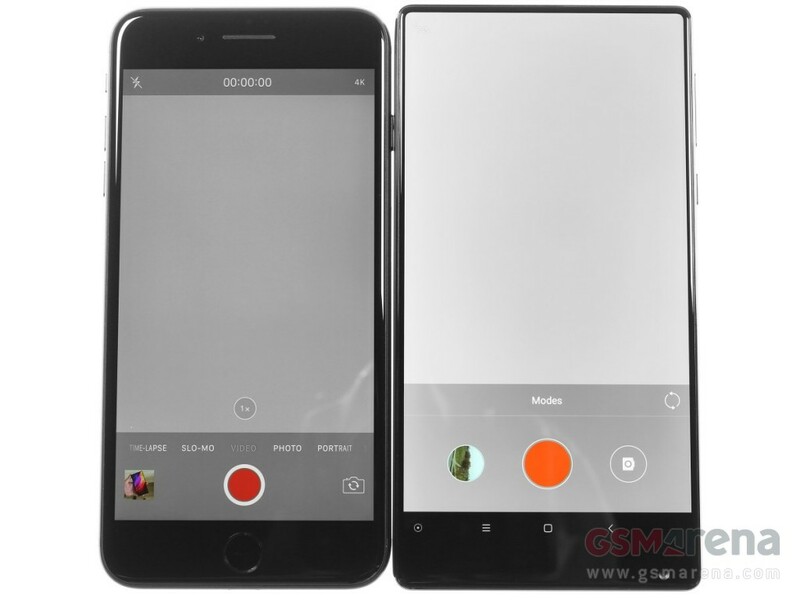 To cater to the Chinese appetite for massive screens, Xiaomi introduced a sub-range within both the Mi and Redmi ranges called the Note, now offering massive screens while still retaining the ethos of great specs for the Mi Note and great value for the Redmi Note. I actually used a Mi Note for a while as a work phone, with an eye-catching bamboo back! In 2016, Xiaomi added 2 further sub-ranges into the Mi range. First was the Mi Max, in May of that year. This was a massive 6.4” behemoth of a phone (actually, only 2 years later, in 2018, this isn’t an unheard of screen size but back in 2016 it was almost unheard of). Then, in October of that year, Xiaomi pulled a “one more thing” during a keynote for another handset, and announced the original Mi Mix, and it’s fair to say it stunned the tech world. This handset fitted the same size of screen found in the Mi Max on a body that was only 85% of the footprint. It did this by essentially completely eliminating three of the four bezels around the screen. It looked like a futuristic prototype handset which would never make it beyond the designers’ imaginations, but Xiaomi promised that you’d be able to buy the phone within weeks. It made the recently announced iPhone 7 look simply archaic side by side. The original had some flaws though. The screen was still simply too big for the times. Even “plus sized” phones were only in the 5.5-5.8” range, so 6.4” was still too big to be popular. Additionally, instead of a traditional earpiece, the Mi Mix used a strange system whereby a user put their ear actually on the screen, and sound was emitted by vibrating the screen. Clever, but this didn’t work too well in loud environments. A year on though, and Xiaomi were back with an updated version of the Mi Mix. The Mi Mix 2 has shrunk the screen down to 6”, much more handy and slots right into the mainstream plus-sized phone market, but still retaining the signature design with only a small chin on the bottom of the phone, housing all the sensors that you’d normally find in the bezel at the top of a phone (or in the fashionable notch), including the front facing camera. Xiaomi notes the chin on this model is 12% smaller than on the original. In person, the phone is amazing to behold. The near complete lack of bezels create a stunning effect with almost the entire front of the phone being entirely screen. It’s really incredible to see the screen reach right to the top of the phone with no notch spoiling the the party by eating into the notification bar or into the sides of full screen videos. Even with this near bezel-less screen, Xiaomi has included a traditional earpiece, absent on the first Mix, managing to squash it into the simply tiny top bezel above the screen. This means you’ll have a much easier time hearing people on the other end of the phone in loud environments on the Mix 2 versus the original. The screen itself though unfortunately isn’t the best out there. It’s an IPS LCD with a 2160 x 1080 resolution. This a far cry from the 2K OLED screens you’ll find in the latest galaxy and sometimes you can see that Xiaomi has scrimped on the panel slightly for whatever reason. The screen sometimes feels quite washed out, and doesn’t refresh at the rate of other screens, leaving a sort of blurring effect on the screen. The Mix line of phones isn’t focussed on value or saving costs wherever possible; its goal is to showcase incredible design, so it doesn’t really make sense for Xiaomi not to put the best screen possible in here. Perhaps they weren’t able to get an OLED to reach the edge of the screen like the LCD can, or couldn’t secure OLED orders. Whatever the reason, it would have been nicer to see a better screen on the Mix 2. On that chin in the bottom is where you’ll find the majority of the sensors that you’d normally find in the top bexel, or in a notch. As mentioned, the chin is slightly smaller with this model, largely down to Xiaomi managing to reduce the module size of the front facing camera, allowing it to fit into a smaller space. The ambient light sensor is also found in the chin, which does cause some minor issues depending on where light sources are in the room. When using the phone to type (especially with 2 hands), there’s the chance that year hands can create a shadow on the sensor, causing the screen to dim too aggressively and caused me on occasion to have to crank the brightness up manually. Here’s a particularly clever addition though: Xiaomi has foregone the traditional optical proximity sensor and included an ultrasonic proximity sensor. This sits within the very tiny top bezel, and uses high frequency sound waves to detect when an object (a face, primarily) comes close to the screen in order to switch off the touch sensor when taking phone calls. In essence, this means that the phone is able to switch off the screen when on a call without the need for holes in the top of the phone to house an optical sensor (just look at any phone with a non-black front, there’s always at least one hole for the front facing camera, and another for the proximity sensor). Ceramic back of the Mi Mix 2 (almost impossible to photograph!). On the back you’ll find a single 12MP camera sitting above the fingerprint sensor – identically sized which is very symmetrically pleasing, and shows the attention to design detail at play with this phone. The camera module is also decorated in an 18 karat gold rim around the sensor, which is a classy touch. The back of the phone is also ceramic, which is seeming to become more and more popular on premium Chinese handsets at the minute. Ceramic is much more resistant to the tiny micro-scratches that glass backed phones are more prone to. I didn’t take a huge amount of photos in my time with the phone but wasn’t overly impressed with the photos that the phones produced. Photos looked slightly grainy even with plenty of light, and the edges of the photos didn’t keep their sharpness right to the borders. Yum… The burger, not the photo quality. Interestingly, due to the selfie camera being at the bottom of the phone instead of the top, it’s necessary to rotate the phone through 180 degrees in order not to cover the camera with your hand, or risk taking a photo at a particularly unflattering angle. This is by design though, and the interface flips round to put the buttons in the right place. Inside you’ll find a Qualcomm Snapdragon 835 processor, paired with either 6 or 8 GB of RAM and 128GB of storage. Even for a year old at this point, it’s a perfectly capable processor, and the phone handled multitasking and switching apps with ease. One thing I was very impressed with in my time with the phone was the battery performance – easily getting two full days of use out of the battery. MIUI has a clean and colourful look. Firstly, there’s no app drawer. Why companies insist on forcing users to not be able to use one of Android’s key features I do not know. Huawei also doesn’t have the app drawer by default in their EMUI software (maybe it’s popular in China?) however, they at least allow one the choice of changing to a traditional app drawer if you prefer. MIUI does not. Subsequently, I can’t count how many times a day I have swiped up on the home screen to pull up my apps only to be met with a Google Search screen. Annoying. Thankfully, downloading another launcher will solve this issue, but it’s annoying there’s not the option out of the box to tweak this to your preference. Notification dismissals are handled slightly differently to standard Android as well. Whilst the notifications themselves still appear and collapse together in bundles, you can only swipe one way on them to dismiss: left to right. Infuriatingly, this means if you are holding the phone in your right hand, then the natural right to left swipe only brings up the notification options instead of dismissing. Stupid. The recent apps page gives you a two column list of your apps which you scroll down vertically. Whilst this is a good way of fitting in more recent apps onto the screen, it means that if you are trying to copy info from one app to another, pressing the recent apps key and just trying to look at the info on the app thumbnail can be quite difficult, though I admit this is nitpicking! One last thing: there’s no in-built scrolling screenshot. I tend to use this quite a lot for capturing articles or hilarious Reddit comments to share with my mates, and was disappointed to see this isn’t built in. Sure there are apps to do it, but they never work quite as well as a tool within the OS itself. On the whole, the Mix 2 is a lovely handset. I’ll say that I picked this phone up for a little over £200, and the value with that in mind is incredible. The design of the phone, even at a year old, will make you say “wow” if you see one in the flesh. The near bezel free design is striking. However, the cost saving is evidenced in the mediocre camera and screen. Additionally, MIUI comes with a couple of irksome behaviours which may cause some frustration at first, though I’m sure would be something you would get used to.